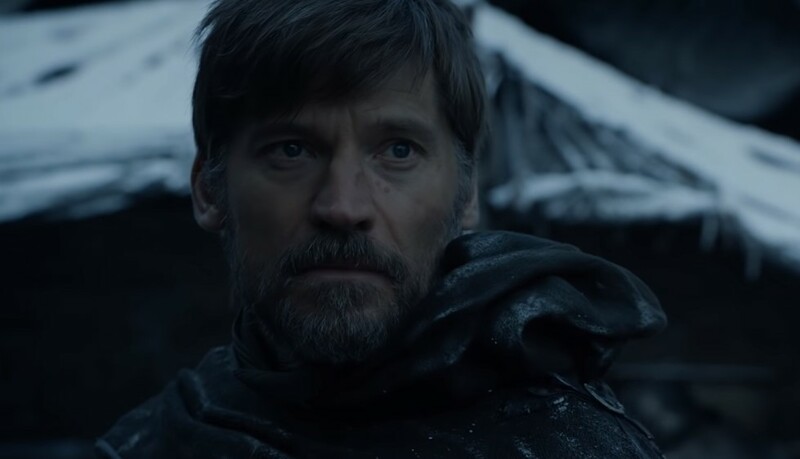 Last night saw the return of Game of Thrones to HBO which marks the end of the season and features a surprise ending with Nikolaj Coster-Waldau's character, Jaime Lannister, arriving at Winterfell. Earlier on in the episode saw Bran Stark tell Sam that he is waiting for an old friend, which happens to be Jaime Lannister. The series comes full circle from the first episode which saw Jaime attempt to kill Bran who ended up getting paralyzed as a result of the attempt on his life. The end of the episode features Jaime Lannister arriving at Winterfell expecting to fight for his brother, Tyrion, but when he arrives he sees Bran in the wheelchair. "If he tells the rest of the clan the truth, I'm done. I'm dead," Nikolaj Coster-Waldau said in the following behind-the-scenes featurette for the first episode.